Our software development team at Quintic are always looking for ways to provide unrivalled analysis software to meet the wide ranging needs of all our valued clients. As our software is extensively used in applied settings where speed and accuracy of analysis and reporting is of a premium we have developed a range of Quintic Automatic Reports. Our new Quintic Automatic Reports enable the user to analyse a movement and quickly produce a detailed PDF report which quantifies the key variables at the key time events for that specific movement. Multiple trials/videos can be analysed together allowing for variability to be determined. The Quintic Automatic Reports contain a high level of detail and provide comprehensive graphical, numerical and visual feedback in a relatively short space of time – something we have found to be essential for our clients using the Quintic software in an applied setting. 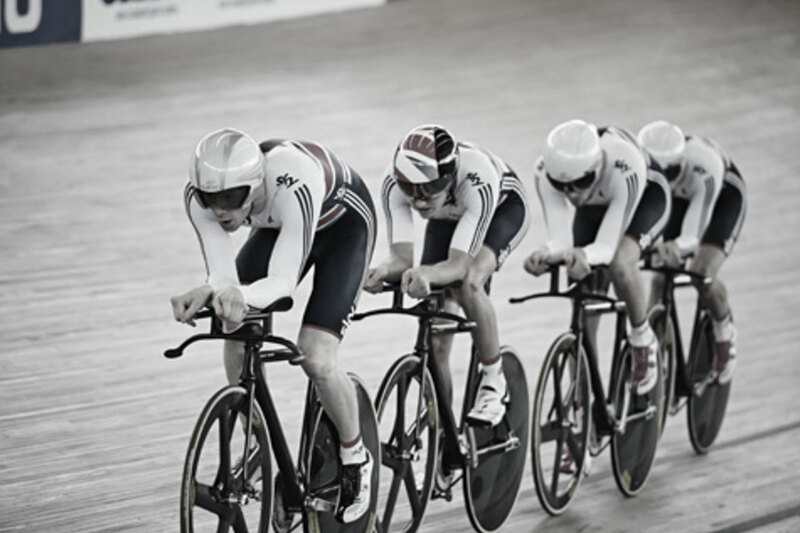 The Quintic Automatic Cycling Report has been developed in order to produce detailed analysis of a cyclist’s technique in an applied setting. 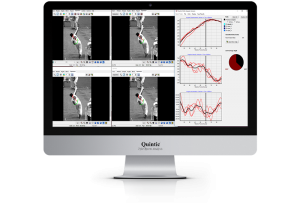 The Quintic Automatic Gait Report has been developed in order to produce detailed analysis of an individual’s gait in an applied setting. 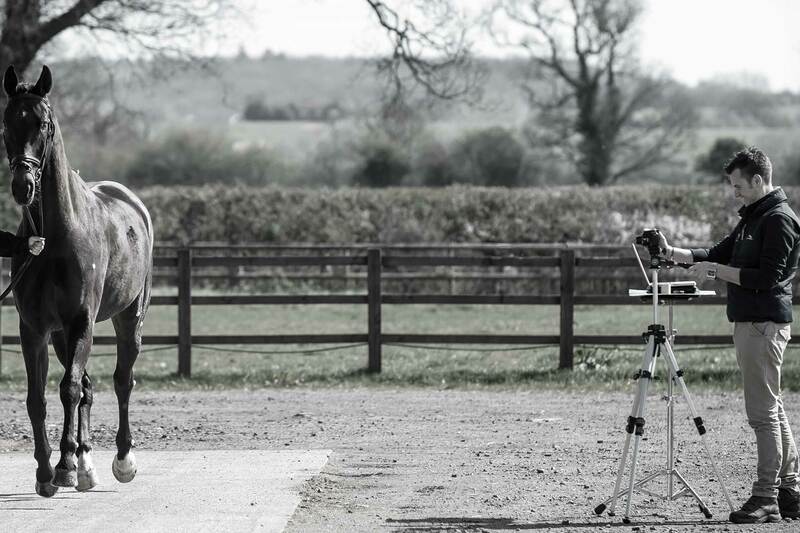 The Quintic Automatic Equine Report has been developed in order to produce detailed analysis of a horse’s gait in an applied setting. 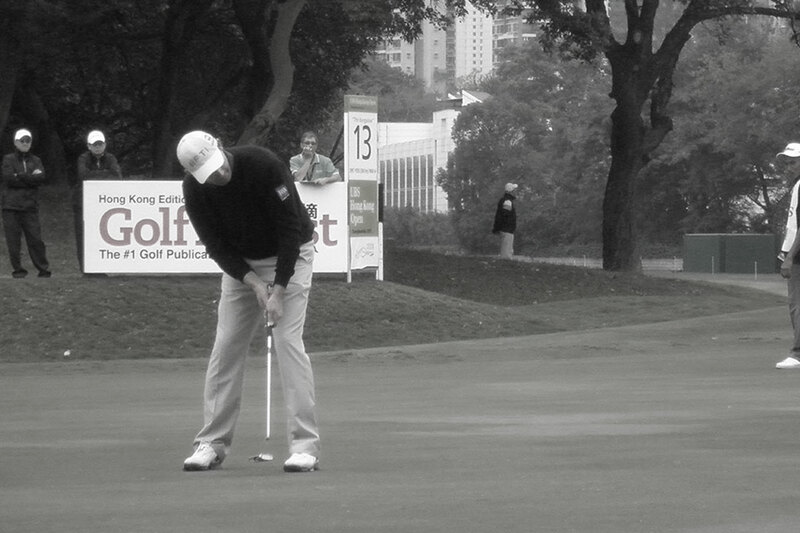 The Quintic Automatic Putting Report has been developed in order to produce detailed analysis of a golfer’s putting technique in an applied setting. High-Speed video camera(s) are used to capture the movement with reflective markers placed in the appropriate anatomical positions, as explained in the associated tutorial. Each video/trial is then digitised in the Quintic Biomechanics software and the smoothed data exported to Microsoft Excel. Once this process is complete, the PDF report can be created using the relevant bolt-on Quintic Automatic Report software. Client information is inputed into the database including (e.g. 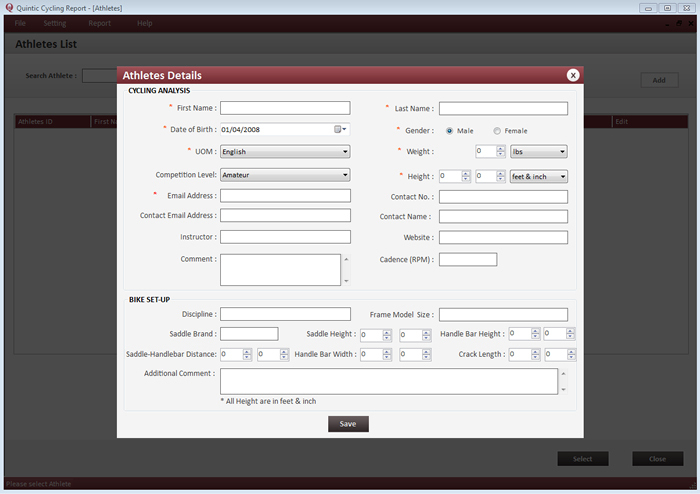 Name, Height, DoB, Instructor, Level of Competition) is to be entered manually and saved to create a profile for the individual. The relevant Microsoft Excel files are then loaded into the ‘Quintic Automatic Report‘ software, the user has the option to select which files to be analysed. Once selected and any images required uploaded, the report is automatically generated, including the calculation of key time events and variables. This means that time does not need to be spent calculating the key variables and attempting to determine where the key frames are in the video. The report can be exported to a PDF file including specific comments about the results along with the clients logo.